Our extra virgin olive oil comes in two varieties. For a sensation of mildness with a fruity twist, Adon is your natural choice. This extra virgin olive oil pressed from pitted green olives is smooth on the palate. For a richer experience, Myrrh is ideal for those who love depth and intensity. Made from wholly pressed olives, it doesn’t compromise on the characteristic sharp taste or health benefits of green olives. Olive oil is wonderfully complex. It’s a sensory experience. And yet only certain brands, like Adon & Myrrh, can be truly considered premium olive oil because they meet internationally defined strict standards. These parameters determine the quality, shelf life, health benefits and other important traits of extra virgin olive oil. The main difference between regular extra virgin olive oil and extra virgin olive oil made from pitted olives is the taste. Pitted is less acid, fruity and more delicate. It’s an olive oil that’s ideal for people who prefer smoother olive oil and yet don’t want to compromise on the fruitiness and benefits of green olives. Our olive oils have to pass a gauntlet of stringent laboratory tests before we deem them fit for you or your clients. Free Acidity (FA) gauges the quality of olive oil. It reveals a great deal about the care with which an olive oil was produced from early blossom all the way to the final product. Vegetable oil is mostly made of triglyceride molecules formed by the binding of one alcohol part (glycerol) to three fatty acid tails. Free Acidity measures the percentage of the acids that have broken free from their alcohol moiety and are now swimming freely in the liquid. The percentage of free fatty acids is a powerful indicator of how much abuse, poor handling and inferior processing the oil went through during production and later stages. It can also indicate fungal disease, inadequate harvesting techniques, delays between harvesting and extraction, careless extraction methods and fruit fly infestation. To be worthy of being labelled “extra virgin”, an olive oil should have a Free Acidity index below 0.8% according to IOC standards. At Adon & Myrrh, our standards are even higher. We work with farmers to source immaculate olives harvested at ideal ripeness and treated with the utmost care. Our olives are pressed within 24 hours of harvest at most without the use of excessive heat. The care we exercise along each step of the way is rewarded by a Free Acidity index well under 0.5%. This is, in hard, cold numbers, what makes our Mediterranean extra virgin olive oil a true feast for the senses. Olive oil stored in suboptimal light and temperature conditions reacts with oxygen. The chemicals produced by this reaction are called peroxides and their presence causes rancidity, unpleasant flavours and odour. They even adversely affect the nutritional value of the oil. The IOC standard is 20 milliequivalents of O2 per kilogram of oil. But even levels as low as 15 might still indicate compromised oil with a shortened shelf life. The olive oil we produce at Adon & Myrrh is stored in sealed stainless steel tanks. Special precautions are taken so that the oil inside is safe from the harmful reach of oxygen and the catalytic action of light. We regulate the temperature according to a very tight range at all times and air is purged from bottles via an inert gas before corking. As a result, both Adon & Myrrh olive oils have a very impressive Peroxide Value. Just like fine wine, a good olive oil is rich in the natural antioxidant family of polyphenols. They are also very important for its stability and they are largely responsible for the variance in taste, flavour and pungency between different oils. Polyphenols are not only important for the olive oil. They have a host of beneficial effects on people’s health such as healing sunburns and lowering cholesterol, blood pressure and the risk of cardiovascular disease. 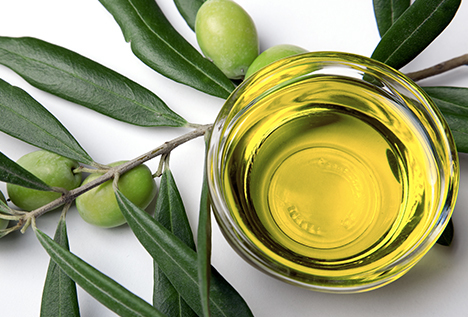 A multitude of factors can influence phenolic content of olive oils. Climate, cultivars, agricultural practices, ripeness at harvest, irrigation methods and extraction technology are all at play here. Since polyphenol levels naturally decrease as the olive fruit ripens, harvest time affects their level in the oil. The older an oil becomes and the longer it sits in storage, the less polyphenols will be present due to oxidation. A timely early harvest, like ours at Adon & Myrrh, yields an oil with a higher level of polyphenols. It also results in pleasant fruitiness and good stability, while having low pungency and bitterness. It’s worth noting that pitting increases the polyphenol level in olive oil too. All of the practices we adhere to at Adon & Myrrh, from harvest to bottling, is geared towards optimizing the levels of healthy polyphenols.